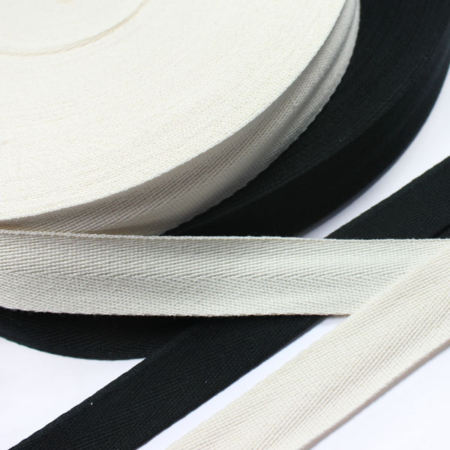 English Black & White Webbing. Available by the metre or as a 35 yard roll. 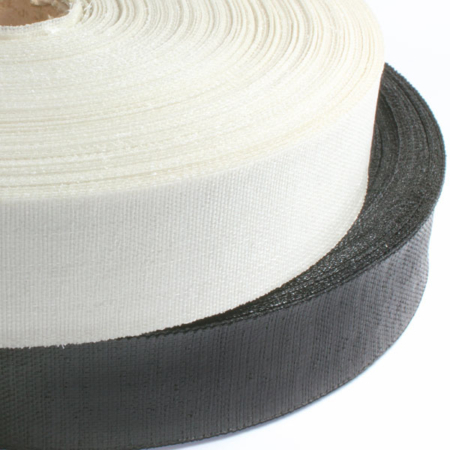 This English Black & White Webbing is a good traditional webbing (2 inches wide), very strong and especially recommended for use under double cone springs. 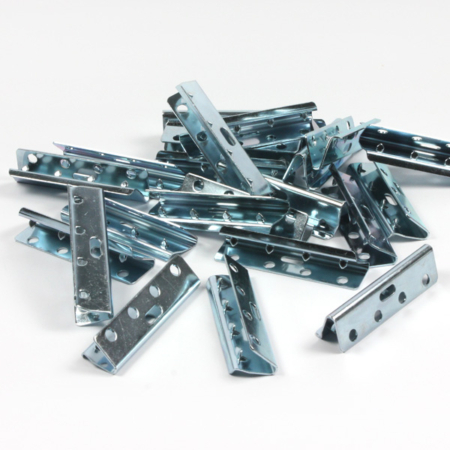 Can be fixed to furniture using tacks or staples. Please Note: Always use a tack with an improved/larger head – small heads can tear through the webbing when it is under tension. Normally 13 mm improved is sufficient or 16 mm improved on very large, heavy frames. Make sure the tack completely driven home by being sure you cannot feel the edges of the tack when you run your finger over it. Fix webbing to the first side of the frame. 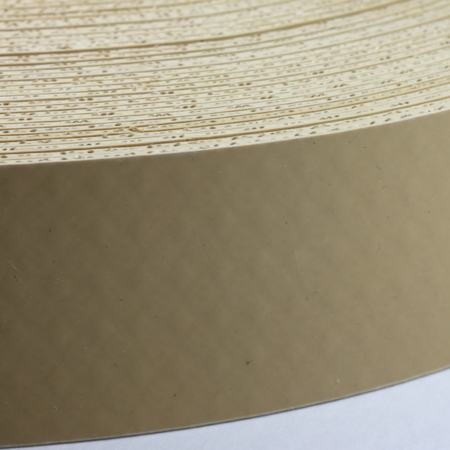 The most common pattern for the tacks is an M or W formation making sure that the two tacks on the outer edge are as near to the edge as possible in order to guarantee that the webbing is as taught at the edges as well as the middle. Bring the webbing across to the other side of the frame and thread through the web stretcher so that the tail (the end leading to the rest of the roll) will be trapped between the frame and stretcher. Pull full tension on the webbing and fix your first tack in the centre. Be sure not to release any tension on the web stretcher at this point. The second and third tacks should be placed on the very edge of the webbing slightly behind the centre tack – do not place tacks in a straight line as this can split the grain of even the best wood frame. Release the web stretcher only after you have put all of the first three tacks in place. 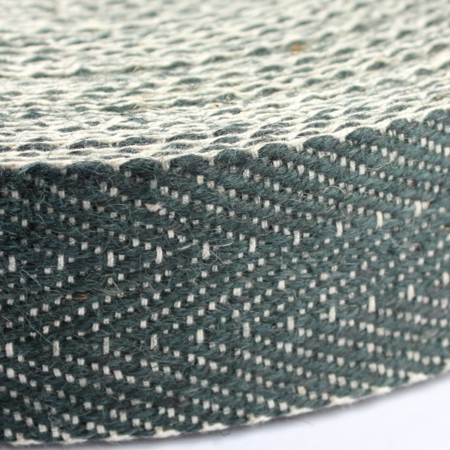 Then cut the webbing from the roll allowing about 30/40 mm turn over. Finish by placing the last two tacks of the M or W formation.